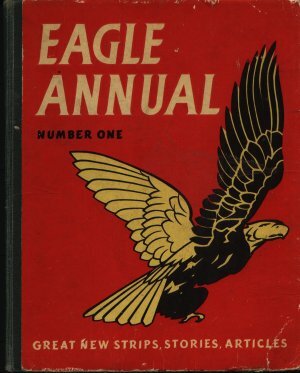 The very first Eagle Annual setting the trend and standard for the following years. Most of the regulars from the successful comic appear in the annual with expanded stories Dan Dare, Riders of the Range and the pictures in the Nature Adventure article are in colour with the rest in black and white. Dimensions : 21.5cm x 26.5cm with 176 pages.